ZITS and PISSOF attack Xangongo - WARTZ advance forces buy valuable time. War returned to South West Africa this week as forces from the Ztumsian Independent Tribal Spiritualists (ZITS) and the Petramco International Security Service Overseas Force (PISSOF) advanced into the Western African Republic of Trans-Ztumsia (WARTZ). The attack brought an end to a lull in the ongoing war in the Ztumsia-Setumsia region which has seen no major fighting since last November. A strong ZITS and PISSOF column crossed the WARTZ border early yesterday morning and advanced westwards along Highway 2 towards the WARTZ supply depot at Xangongo. 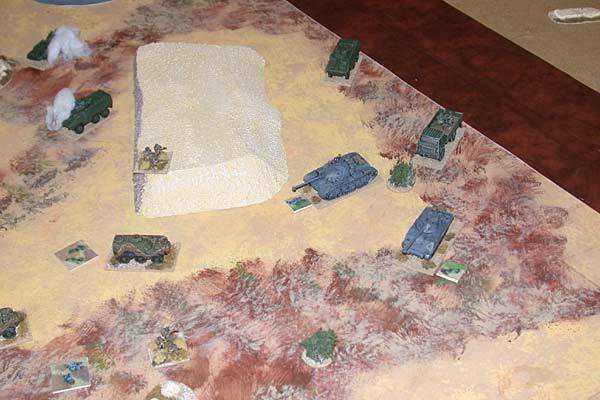 The attack took WARTZ forces completely by surprise and three elite infantry companies (one WARTZ Marine Corps and two WARTZ Army) were caught isolated, hours away from any possible reinforcements. 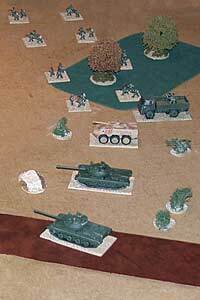 ZITS and PISSOF attacked with a large numbers of armoured cars, tanks and technicals. ZITS and PISSOF made no attempt to send out any flanking forces and all their effort was concentrated down the axis of Highway 2. 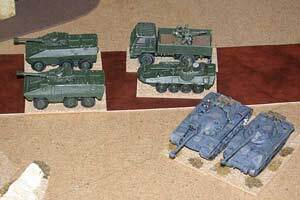 They advanced rapidly but their armoured units soon outpaced their infantry and, on their own, were completely unable to make any impression on the elite WARTZ infantry units holding villages along the road. ZITS and PISSOF infantry did not arrive on the battlefield until late in the day and this attack was just starting to develop as night fell. 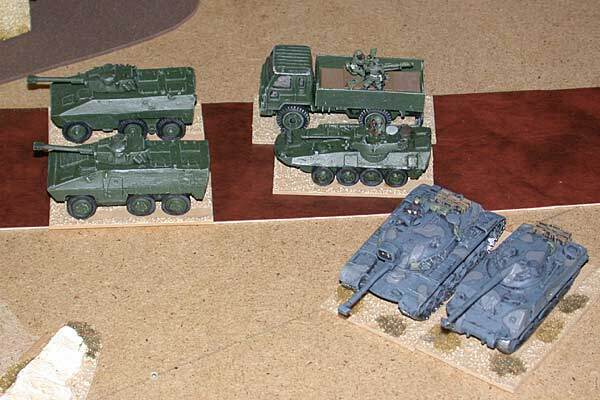 An elite armoured company from the WARTZ Army met the armoured assault in the open and destroyed several armoured cars and Antiaircraft technicals before themselves being overwhelmed. A squadron of tanks from the Marine Corps were the only WARTZ reinforcements that made it onto the battlefield, but they arrived too late to have any impact on the course of the fighting. WARTZ armoured infantry took on the enemy tanks with their Saracen APCs. Their attack was surprisingly effective, but ultimately doomed. The WARTZ advanced forces retired overnight and have now joined up with other troops who had spent all day rushing to join them. Three companies of elite infantry delayed the entire enemy column for a day and have bought WARTZ the time necessary to assemble their forces for defence or counterattack.